1. Will it hurt when I get a tattoo? There will be a small amount of pain and discomfort with a tattoo and this depends on your threshold for pain – a tattoo does involve a needle and ink. Some describe the feeling of a getting a tattoo like a mildly irritating scratching sensation on the skin surface. After the tattoo design is complete, most feel the pain of a tattoo is minimal and annoying more than painful for a very brief period whilst the work ‘settles’. 2. 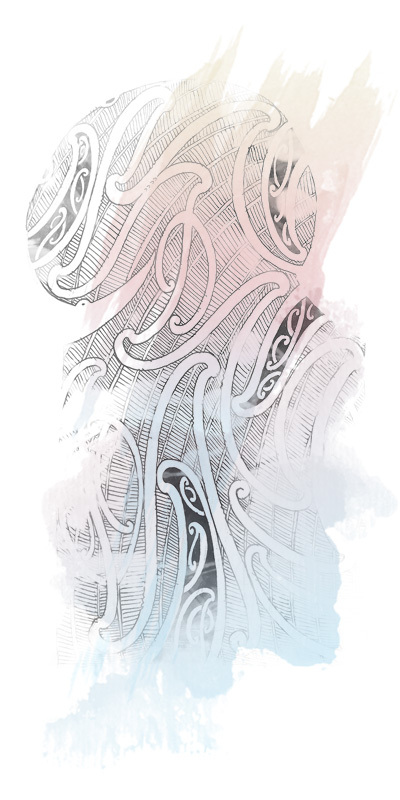 How much will a tattoo design cost? There is no standard cost for tattoo design. If you want a large tattoo design covering a large part of your body, then it will cost more than a small tattoo design. There are also places you can go to get tattoo design for a bargain, but remember this tattoo design may not be up to par with an experienced tattoo artist. Researching tattoo shops and even meeting various tattoo artists to discuss what tattoo design you are after, can help you get an idea of the service and cost for a tattoo. 3. Where can I find some tattoo designs? A tattoo design is something that is on your body forever, so make your tattoo unique and individual. A tattoo artist will be able to help you with an idea you have and you can plan the tattoo design out together so you get a unique tattoo. If you have a tattoo design in mind, find some pictures and bring them to your tattoo artist who will be able to customize and help you come up with your tattoo design that fits you personality and individuality. 4. What happens after I get my tattoo? After you get your tattoo it will be important to take care of your new tattoo. Immediately after the tattoo has been completed, take 5 minutes at the Studio having it patted dry with paper towels to mop any blood etc. Do not cover the design with any makeshift paper towel ‘bandage’ but moisturize the design with the appropriate lotion. Following this procedure will prevent any scab formation. Do not pick your newly created tattoo – it can remove the colour of the tattoo design. It may be tempting to scratch the tattoo, but apply lotion/cream on the tattoo when this arises without over moisturising. It will be important to avoid exposure to sun on your new tattoo – just remember to cover up your tattoo to protect the ink colouration etc. Whilst you may shower with your new tattoo, avoid soaking in a bath, spa or swimming in pools where chlorine exposure can be detrimental. 5. What type of tattoo design should I get and where should I get my tattoo? The type of tattoo design is completely up to you and where you feel comfortable having your tattoo is up to you. The type of tattoo design you get can be any tattoo design that you like – unique to you and your personality. When deciding where to place your tattoo, keep in mind that it will be seen by everyone. If you don’t want someone to see it (i.e. an employer, customers, etc.) than consider placing your tattoo in a place where you can cover it easily. 6. What is the best time of year to get a tattoo? There is no recommended time to get a tattoo, but it is often better to get your tattoo in the winter. This way your tattoo is generally not exposed to chlorine pools when you are swimming and sun exposure from being outside. 7. What will happen to my tattoo over time? 8. Is it safe to get a tattoo when I am not feeling well? You need to be feeling well when you get a tattoo so that your body can heal itself after the tattoo design process. Make another appointment for your tattoo and come back when you are feeling better. 9. Is getting a tattoo safe? The process of getting a tattoo is completely safe. Zealand Tattoos uses a chemical process, followed by an ultrasonic cleaner. Zealand Tattoos chosen mode of sterilisation employs both vacuum and steam sterilisation techniques using equipment that is exclusive to the Zealand Tattoo studio. All tools, needles, and accessories are kept in sterilisation pouches and opened in front of each customer. After use needles are disposed of in a sharps bin, as is standard protocol in the medical industry.